Solar water heaters have the potential of being an ecofriendly and cost-efficient way of heating one’s household water supply. The process is simple and does just what the name implies. This type of system harnesses sunlight, turning it into heat through a device called a Solar Thermal Collector. There are several types of solar water heaters on the market. While it’s true that these water heaters can work in any climate, some do work better in warmer areas. One of the most common types of Solar Water Heaters is called a Direct System, also known as an “active” or “open loop”. The process for the Active system is simple: Water is circulated from the water tank, up to the roof to the Solar Thermal Collectors. The water is then heated in the collectors and transferred down to the water tank and into the household, ready, for use. This type of system is best for tropical climates, as it doesn’t require assistance in heating one’s water. 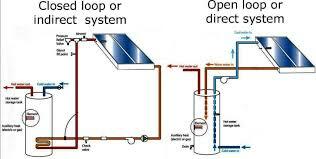 The most common Solar Water Heater, in the Direct System, is the Indirect or “closed-loop” system. These work best in climates where temperatures drop below freezing. This system uses a combination of sunlight and antifreeze to heat the water. Antifreeze is circulated from the water heater up to the Solar Thermal Collectors, heated, and then moved down into the heat exchanger, heating the water in the tank, indirectly. The cooler antifreeze is then pushed back up to the collectors where the process begins again. Probably the most common problem with a Solar Water Heater is leaking. The most plausible explanation for this is a leaky temperature and pressure relief valve on the solar heater. Do not try to repair this problem on your own. It’s better to call and have a technician come out and replace it. Another reason leaks can occur is because the piping in the solar panel has burst. This may be due to either freezing weather conditions or simply too much pressure in the pipes. It is best to call a technician to come and assess this problem as well. The problem could also be that the pipe fittings just need to be tightened. The second most common problem is not having enough hot water. To address this issue you can do a couple of things. Make sure the solar panel is in the correct placement on the roof, i.e. away from tree shading, facing south with the recommended tilt. Also consider if the solar panel size is correct for the household size. The amount of hot water that you use will help determine the size you need. Not having enough hot water can also be caused by a leaky or stuck valve. Make sure that if there is a back up storage tank, that the thermostat is set to the right temperature. Be mindful in the winter months that the solar panel is given an adequate slope, so the output end is higher. There could also be a system blockage. If so, all you need to do is flush the system until the flow is no longer blocked. The most important thing you can do is make sure that the solar panels are properly insulated. Finally, the third most often reported problem is no hot water at all. To avoid this problem, it is best to be preemptive. Make sure to maintain the absorber paint on the collector panels. If this paint deteriorates, it can cause the system to be less efficient. Make sure that the paint is both heat and UV exposure resistant. Also make sure to provide a small weep hole on the bottom of the collectors. When there is a lot of condensation inside the panels, the excess needs to be expelled so as not to affect the performance of the system. 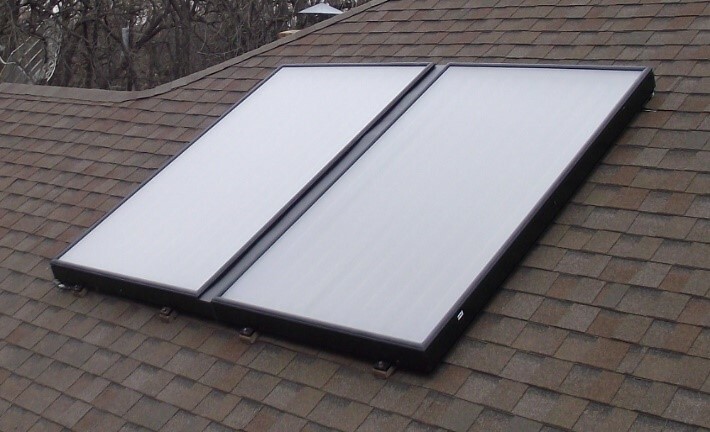 Despite their drawbacks, Solar Water Heaters are a great option for alternative-energy conscious homeowners. If you are looking to save money, we’ve got everything you need to get you started on this eco-friendly alternative energy option for your home. Give us a call today!